No hen party is complete without a fun and fabulous fancy dress theme, but why stop at the costumes? At Signature Living, we specialise in group accommodation that’s perfect for hen parties. We have one of the largest selections of themed luxury suites, restaurants and events – meaning you can go all out! Don’t settle for a standard hotel room or meal. Make your hen-do one to remember and organise the ultimate hen party in Liverpool with our themed rooms – and matching hen party fancy dress ideas. Dress the bride as Alice, slip into character as the Mad Hatter or become the White Rabbit. There’s also the option of the Queen of Hearts or even Tweedle Dum & Tweedle Dee! You’ll be falling down the rabbit hole with this fun Lewis Carroll inspired theme. Of course, it will be absolutely necessary to follow in Alice’s footsteps by eating (and drinking) everything in sight. Once you’re all dressed up, get yourselves over to Garden of Eden’s Mad Hatter’s Afternoon Tea and be treated to an afternoon of immersive performance and impressive live music. This bonkers event will have you sat at the table of the mad hatter himself as you enjoy unique interactions with all of the Mad Hatter characters whilst enjoying an afternoon tea with a difference. 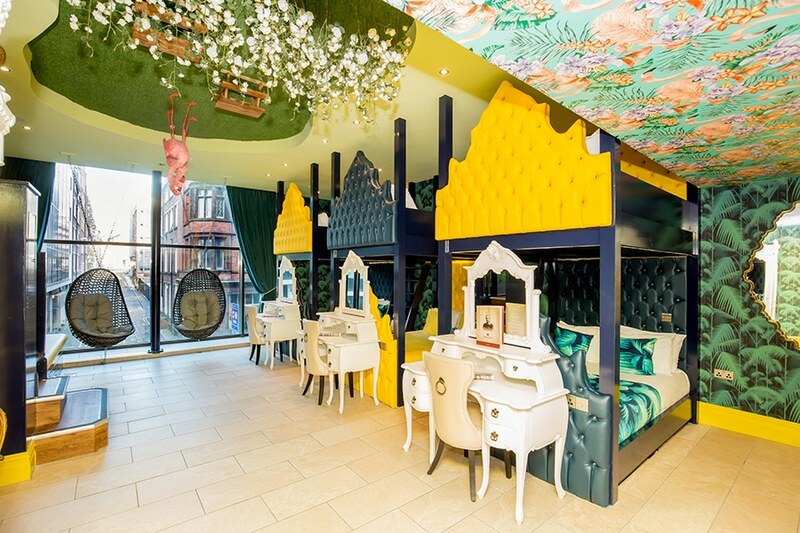 Make sure to book a stay in the Wonderland suite at The Shankly Hotel and prepare to be transported to another world. 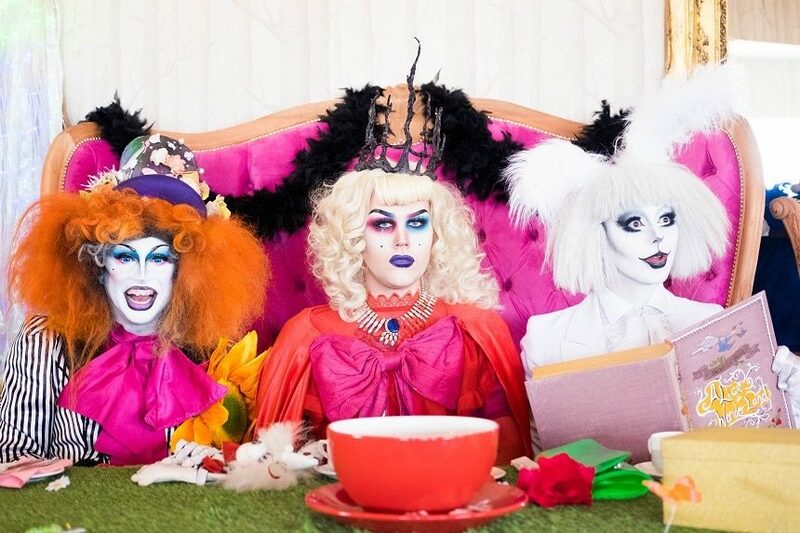 With its quirky furnishings and magical atmosphere, the Wonderland suite is perfect for any Mad Hatter or Alice in Wonderland hen party fancy dress theme. 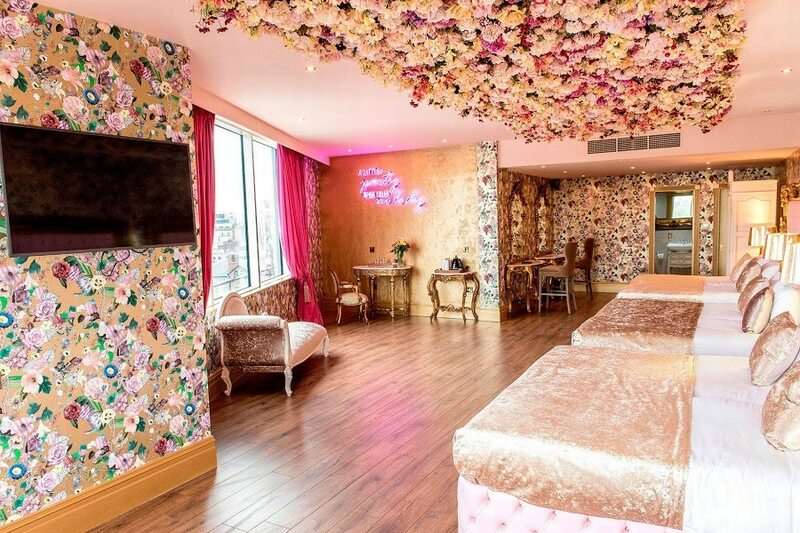 Make like the A-Listers do and bag yourself the Laurent Perrier room. Accommodating up to 24 guests in private cabins over two floors, the Laurent Perrier room is the ultimate party accommodation and perfect for a themed hen party. 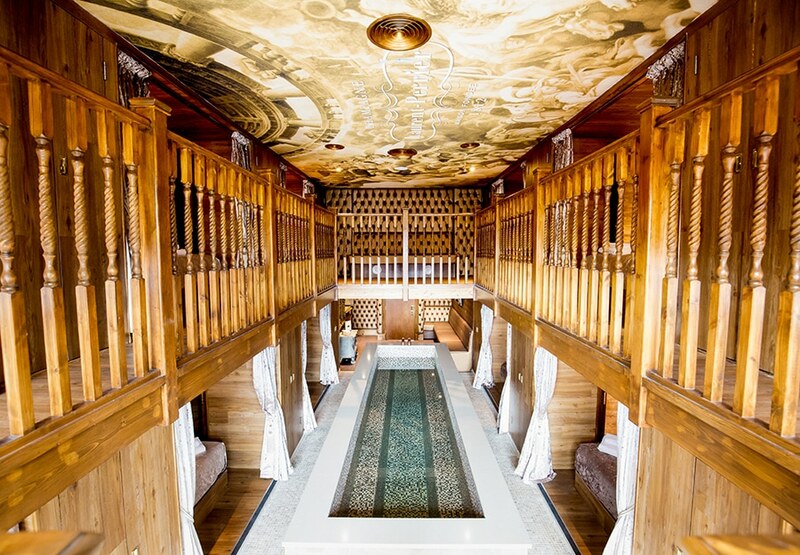 The best part is the 25ft mosaic pool, which takes pride of place in the centre of the room. What could be more Hollywood than a dip in your own private pool! For a hen party fancy dress idea with class, sass and a whole lot of Instagram potential, get red-carpet ready with gowns, curls and pearls. Why not really make a splash and get yourselves some customised swimsuits for a pool party photoshoot? Within every group of friends, there’s always those who are good-as-gold – as well as a couple of mischievous troublemakers. Embrace your differences, and go for a ‘Heaven vs Hell’ hen party fancy dress theme! Our Garden of Eden suites are perfect for this, as they’re inspired by the tale of Adam and Eve’s Fall from grace. With themed rooms such as Sin, Lust and Indulgence, there are so many options for all of your saints, sinners and everyone in between. Whichever route you choose, you’ll have the most fun ever wreaking havoc across town in your halo’s and devil horns! Maybe the bride to be is a fan of those late nights that turn into mornings. If she’s a dancing queen, a rave hen party fancy dress theme could be a great idea. Grab your girls, slap on some glow paint and head out in the brightest clothes you can find. This will be a night out in Liverpool you’ll never forget! 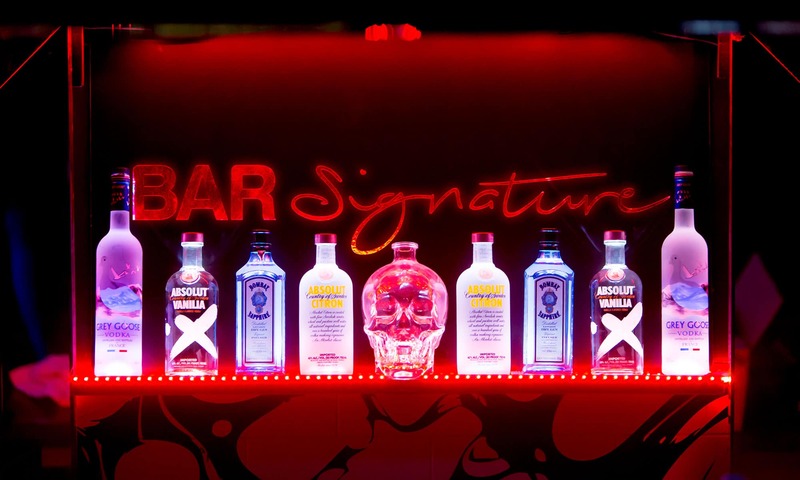 Once you’ve got ready and had a couple of drinks in a Signature Living party suite, head over to Bar Signature in the heart of Mathew Street – one of Liverpool’s most iconic nightlife areas. With cocktail masterclasses, live music and some of the best booth packages in the city, your bride-to-be will be set for a hen party she’ll always remember. Is she a classic movies and musicals fanatic? Well, you’re all in luck! Your very own Dorothy won’t even be thinking of home once she steps inside the Wizard of Oz room at The Arthouse Hotel. This luxury room sleeps up to six people and will give your hen party the adventure you need. This room is conveniently located near Liverpool’s ever-popular Ropewalks and Concert Square, so your very merry hen party won’t have to skip along too much of the yellow brick road to get back to your beautiful hotel room at The Arthouse Hotel!  The Rocky Horror Picture Show continues to build a cult following even today – and an even more iconic set of characters and outfits. From the daring Dr Frank-N-Furter to the devilish Magenta, there’s no end of options for amazing hen party fancy dress ideas when you choose this theme. Go for a hen party with a difference, get those fishnet tights out and paint the town red with your horrifyingly fabulous hens! Luckily for you, Signature Living have a suite to match! The Arthouse Hotel invites you to step into a time warp and stay in the Rocky Horror-themed room. Gaze upon the iconic lips that decorate the ceiling and have a full-on Rocky Horror Show hen party. We see you shiver with antici…pation! Grab your bridal tribe and transport yourselves to a warmer climate – without the airfare. 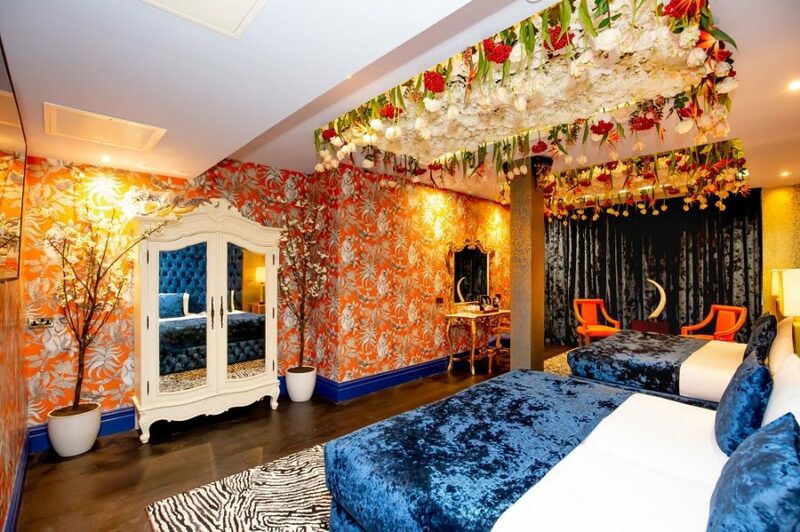 With their animalistic charm and vivacious decor, the Jungle Rooms are perfect for a themed hen party. When it comes to safari themed hen party fancy dress ideas, you’ve got a whole world of options. You could all be a group of intrepid explorers, or better yet, a herd of tropical, exotic animals! Who wouldn’t want to see their best mate doing shots dressed like a Parrot? Turn up the heat at Alma de Cuba, Signature Living’s Latin American inspired bar. The perfect hen party fancy dress for a night at Alma has got to be carnival-themed! Dress to impress with embellished headdresses, sparkles, heels and more. Here’s hoping you get invited on stage with the dancers for the famous petal drop! The Samba Afternoon Tea is a truly unmissable event and is perfect for a hen party. Indulge in unique dishes and personalised cocktails while samba dancers entertain you with authentic carnival vibes. Of course, we’ve got a hotel room to match your carnival theme with the vibrant, tropical Flamingo room. Complete with 10-berth bath and double bunk beds, this room is perfect for pre-drinks, getting ready and a big old slumber party. There are even flamingos on the ceiling! Morgan’s Vault is undeniably the best place in Liverpool for a one of a kind pool party. Up to 20 people can stay in the beautifully decorated, luxury suite – but the best part of a Morgan’s Vault pool party lies behind the huge steel door. 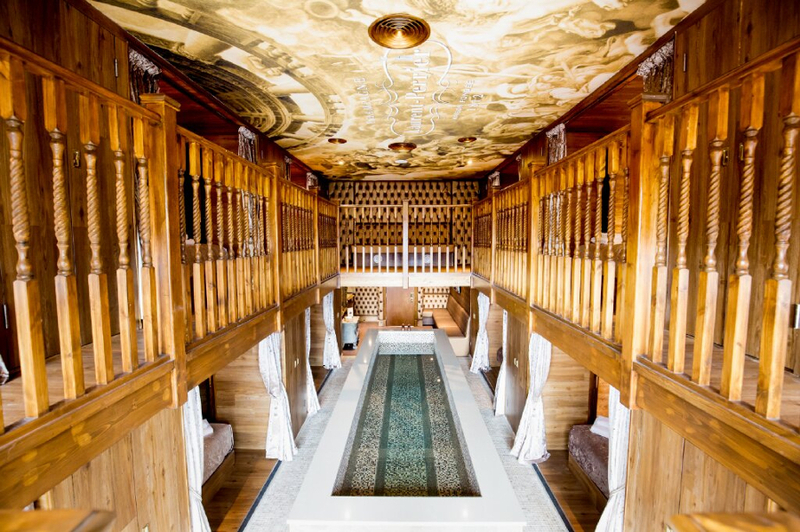 Descend the metal staircase to the depths of 30 James Street, where you and up to 150 guests can enjoy a private pool, bar, DJ and spa treatment rooms. 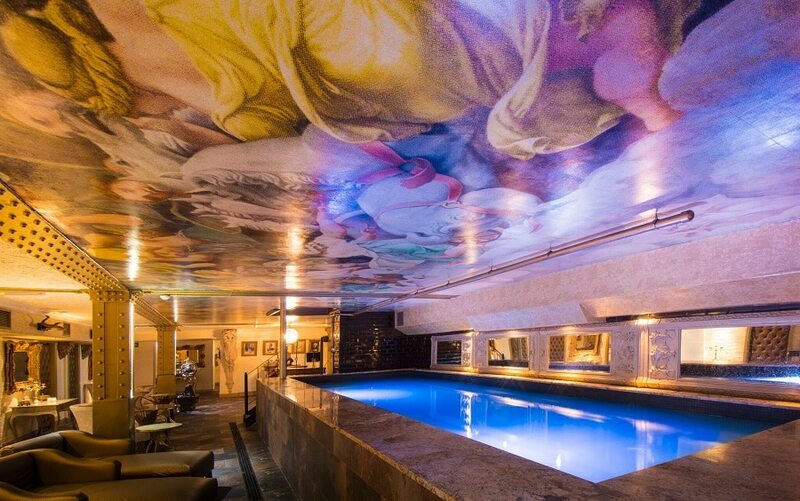 The stunning mural on the ceiling sets the perfect scene for a greek-goddess themed hen party. So, get kitted out in some togas, cover yourselves in your finest jewellery and party on like the goddesses you are. You deserve it!